CD Brain - 841 353-2 (1991, Germany) Made from "treated" masters - "In the early 90s, KS put Mellotron and some reverb onto it, also he made the tracks a bit shorter"
This was the much-anticipated followup to his breakout "Timewind". I'm sure the idea of adding a drummer seemed great at the time, but I was turned off completely. You don't "ground" spacy, floating synthesizer music. Especially with a typically ham-fisted rock drummer. Actually, it would've been a dud even without the drummer. Great to notice that Prog Archives allowed the electronic music scene on their site! My favorite band is TANGERINE DREAM (the "Phaedra"-"Encore"-era) but the early work by Klaus Schulze is second's best! Especially the album "Moondawn" belongs to my most played electronic music records. I own the Manakin Records version that contains the two original songs "Floating" and "Mindphaser" and the bonustrack "Supplement". The first track "Floating" (27:15) features beautiful string-sounds, hypnotizing sequencers and fine soli on piano and synthesizers. The second composition "Mindphaser" (25:34) is one of the best electronic music pieces ever written: wonderful sounds of nature (waves, wind), celestial female voices, compelling string - and synthesizer layers and then a sensational shifting mood delivering sumptuous Farfisa organ and fat, ultra-deep Moog runs, an excellent combination! And let's not forget the exciting drumming in the first two songs (especially the second) by drumming by Harold Grosskopf, he adds a very vivid element to the often quite static sound of electronic music. The third track "Supplement" is not my cup of tea, too much sounds and too fragmentic. Conclusion: two great composition delivering more than 50 minutes of mindblowing electronic music. A MUST!! "Moondawn" is officially considered as one of the best Schulze albums (with « X » and « Mirage »). Since "Timewind" it's clear that the man has specialised in cosmic, synth music recommended for meditation and introspect experiences. Larger Scale work, Moondawn starts with "floating" which indicates an intrusive spacey, atmospheric theme for synth. The tune is introduced by a religious recitation, then we discover a captivating, floating spacey synth lines rapidly punctuated by acoustic, repetitive drum pulses (by Harald Grosskopf). The last part contains detached piano arrangements. "Mindphaser" is a moody, ethereal piece which starts with concrete noises of thunder, accompanied by a celestial synth "modulated" voice in the background. The track progressively rises from the obscurity to ends into a schizophrenic cosmic set with indistinctive synth / organ sounds and a monotonous drum's accompaniment. "Moondawn" is Klaus Schulze trademark, beautifully structured and improvised "sidereal" synth universe. A great introduction before the mesmerising "Mirage" recorded one year later. Compared to the Blackdance album, Moondawn is much better: the sound is cleaner, more colorful and stereo; the technology used is also enhanced: the miscellaneous keyboards are more nuanced and modern. Schulze here gets the early Jean-Michel Jarre's style: dramatic floating streams of modern keyboards like on the Oxygene album, keyboards that imitate the sound of small metallic objects colliding together. The music is still very linear, but it is a bit more substantial, less minimalist and more melodic. The side 1 starts with a credo-like vocal speech; then, the progression is VERY gradual: even the beat evolves VERY subtly and slowly. The beat may remind you Tangerine Dream's "Madrigal meridian": it continues until the end of the track. Due to the presence of drums, one may compare the side with Tangerine Dream's Cyclone; however, Cyclone is more varied, loaded and progressive. Schulze here produces very good spacey textures. I can give 4 stars for side 1. The side 2 is clearly divided into 2 parts: the first one is rather linear, monotonous and beat-free: I give 3 stars; the second one is full of fast drums and unmelodic organ notes plus some weird moog notes: this last part decrease the overall value of the album. I give 2.5 stars. This is as an important electronic progressive release as was Tangerine dream's ' Phaedra'. The version I am reviewing is the Revisted Records release which includes the stunning bonus track ' Floating Sequence'. 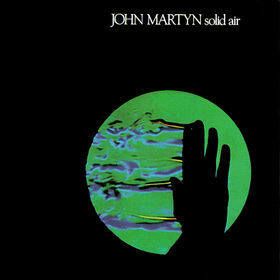 A variation somewhat of the original first track ' Floating'.The album as a whole delivers perfectly the reason why Krautrock is the home of progressive electronica music. The originators and pioneers. Popol Vuh, Klaus Schulze, Tangerine Dream, Faust to name a few. ' Floating' and ' Mindphaser' are powerfully structured songs spread over 52 odd minutes. The drumming build ups are excellent and Moondawn has all the necessary ingredients within the electronic genre to justify a masterpiece rating. There are moments on ' Mindphaser' when quite literally you feel like you are being propelled through another dimension. Music is THE drug, you just need the right musician or composer to take you on the journey. 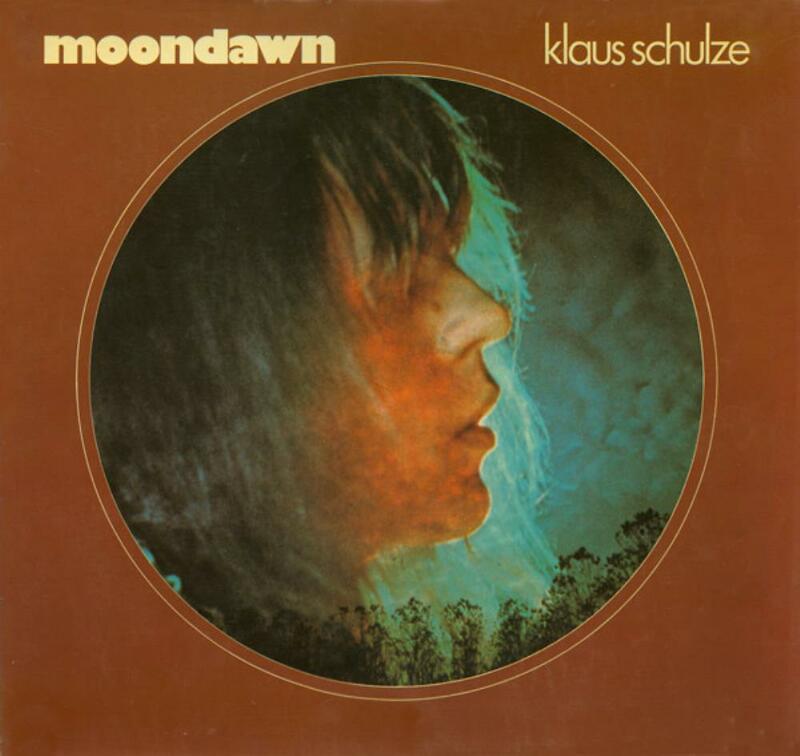 Klaus Schulze succeeded on Moondawn. Great reading and overall presentation with this remaster cover and jewel case CD version. A definitve cult album and majestic piece of work from 1976. This would be the first album that Klause used the big moog, it would also be his first multi- track recording. So yeah the sound is improved but I wouldn't say this is better than "Timewind" or "Picture Music". WALLENSTEIN's drummer Harald Grosskopf wrote Klause a note after hearing his "Picture Music" album, saying he would really like to drum on one of his future albums. Klause didn't respond right away, but when he felt he could work with a drummer he asked him and Harald obliged. They actually recorded this album in one night ! "Floating" opens with some spoken words. Rumours are that it's the Lord's Prayer in Latin. Spacey sounds build to a very spacey soundscape 4 minutes in. Pulsating sounds join in after 5 minutes and build. The spacey soundscape dies after 8 1/2 minutes but the pulsating sounds continue and get louder as they're joined by drums. The sound gets fuller as it changes and evolves the rest of the way. Cool track. "Mindphaser" opens with the sounds of waves gently splashing over and over. Synths join in before 2 minutes as thunder can be heard. It sounds like high pitched female vocal melodies after 3 minutes. The thunder continues to crash until it stops along with the waves. Those high pitched sounds continue until a complete change 12 minutes in. Farfisa organ and drums take over. Nice. Synths eventually join in. Check out the drumming ! The spacey sounds become more prominant. Pulsating organ 18 minutes in. The waves from earlier are back to end it. A solid 4 star album again from Klause. What else can be said about mighty Klaus at this stage??? He released some great albums so far. And one sublime work ("Timewind"). If ever you are willing to discover some BRILLIANT music, there is no alternative. Grab "Rubycon" or "Timewind"" if ever some electronic music is what you feel. These albums range to the liking of the best of prog available. Of course, the music is dramatically different from the wonderful "Yes" or "Genesis" which are my extreme cup of tea. You can add "The Graaf", "Tull" and "Floyd". My other utmost loved bands being "Led Zep" and "Purple". All of these ones for over than thirty eight years from now. And the music performed by Klaus here is just fantastic again. It was of course difficult to reach the masterpiece whom he achievied with "Timewind", but this album IS another great moment of electronic music by all means. There are not many extra-terrestrial moments here, but some ecstasy is being reached anyway. "Floating" is of great beauty. It delivers some gorgeous but tranquil keyboards structure. As if there were several masters in here. But there is only one chief of course. He is controlling the whole music available. Just listen to the superb "Floating" to be re-assured. There is no compromise. Only great music developed by a HUGE man. Who should have been playiing with another monster of prog music. But that's what remains from both of their GREAT oeuvre. When you listen to "Mindphaser", there is only one feeling that prevails: some sort of a magnificent and sublime jewel. This is hard to define: no intricate lyrics à la "Genesis" who will remain my favourite prog band for ever. No extravaganza à la Tull. Nothing as brilliant as "Led Zep". Only superb music. No words. No shouts. Only great keys and huge melodic lines. This album is great . Almost a jewel. A greatpiece of music to be honest. Four stars is the minimum rating. Moondawn is one of Schulze's more popular albums but I find it slightly less then any other album of the 1975-1978 period when every synth that Klaus touched turned into gold. With Schulze's big moog in action, it is sonically a big improvement over Timewind. Floating has all KS ingredients in place: lush and ambient sounds, entrancing sequences, swirling moog solos and a big finale. Excellent percussion as well. Depending on my mood, it sometimes sounds too repetitive. It's exceptionally good still, but more of this and better was yet to come. Mindphaser starts off very moody and sinister but halfway in, it turns into something entirely different when the drums kick in. It's not bad but somehow it comes off as a failed experiment to merge Schulze's electronic sounds with the jagged and noisier approach of kraut rock. One of his best albums and his last great one. I don't think the majority of what he did after this comes close. Still good music just not as exciting as this one. The 1-2-3 knockout of Picture Music - Timewind - Moondawn is some of the best electronic music ever. For the first time Klaus uses the "big Moog" he bought from Florian Fricke(Popol Vuh) back in 1972/73. There is drumming here, but unlike Picture Music, Schulze is not behind the drumkit. Wallenstein drummer Harold Grosskopf does the job on both side-long epics. I like how Schulze uses percussion as added texture to his music. Unlike Tangerine Dream, who usually just wanted the drummer to keep a beat when they used one. The drums are also pushed back in the mix so they never steal attention from the keyboards. I'm used to an older CD version which has about 30 seconds or so taken off the end of each piece. It was also re- mixed with some keyboard overdubs added. "Floating" has The Lord's Prayer spoken in Latin or German at the beginning. I like the 'floating' voices you hear. The drumming starts off rather subdued. After 10 minutes a techno-before- techno beat appears. After 15 minutes there is some nice soloing on synth. 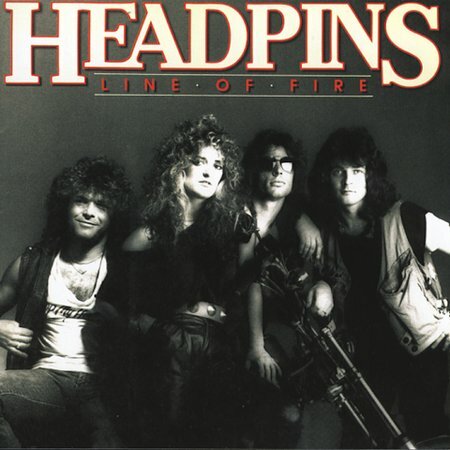 17 1/2 minutes there is some great drumming and another cool synth solo. Things get more intense before it starts to calm down at the end. "Mindphaser" begins with the sound of waves. Then a long ethereal section. It gets louder and more intense. I love when the drums come in about halfway thru with the organ; this part reminds me of Pink Floyd for some reason. Love the synth solo that starts before 14 minutes. Near the end there is lots of bubbling sequencers. At 24 1/2 minutes the drumming stops and we are left with ethereal soundscapes. 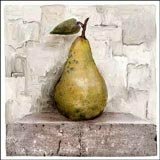 The drumming and organ gives this album a more organic feel. I rarely like albums which are 100% synthetic. It's nice to add some non-electric or non-electronic instruments to spice things up. One of Schulze's best albums and a good introduction to his work too. Just don't expect lots of drums on his other albums. 4 stars. Moondawn is Schulze's first release with acoustic percussion not done by himself, and it's not a bad experiment. The drums aren't overpowering in any way, and comes off sounding like a mellower Force Majeure/Cyclone-era Tangerine Dream kind of sound. The sounds of floating synths mark the beginning of "Floating". After a few minutes of floaty, synthy drones, a clear percussive beat is established. Nothing fancy - just some bass drum, high hat, and floor toms in 4/4. The music eventually takes off as the sequences of synths completely invade the organic vs. inorganic soundscape that works so well. This track is fast paced, and will be liked by fans of "Bayreuth Return" from the Timewind album, though the music here is a bit less cosmic and much more energetic. "Mind Phaser" starts off sounding a lot like Meshuggah and a little bit like Green Day. Just kidding - it's very dreamy synth music with a mythological siren-song soaring atop crashing waves and thunder. However, this song switches from beautiful and mellow to energetic and loud way too suddenly. The rest of the track, from the mid-point onward, sounds like spacier ELP. I don't like ELP, and I don't particularly like this track either. Moondawn is a decent album, but it doesn't suit my personal taste as much as I'd hoped. The first track is great, and so is the first half of the second track. It's random exertion of strength at the end of the album that just seems so randomly forced upon the wonderful cosmic sound that Schulze usually works with. I'd be fascinated to know the circumstances under which Harold Grosskopf ended up providing drums and percussion for this Schulze album, because typically Klaus had proved perfectly capable of providing that himself. Was he meant to be there all along, or was he added as an afterthought to try and spice up the compositions? Either way, I don't think the album manages to be quite as mindblowing and successful as the preceding Timewind. It opts for a quieter style which had already been mastered by the likes of Tangerine Dream or Eno, and yet doesn't manage to produce anything particularly memorable or distinctive with it. Electronic prog lovers will probably get a decent amount of enjoyment from this but it doesn't cry out to be at the top of anyone's electronic prog checklist. Solo album number six from master synthesist Klaus Schulze marked his arrival above ground after half a decade of subterranean electronic experimentation. His previous "Timewind" had been an overdue breakout hit, and Schulze took full advantage of his newfound stardom by investing in a lot of shiny new toys and tailoring his sometimes inscrutable sound closer to popular tastes. It was the first KS album to utilize "the big Moog" (in his own words); his first professional multi- track recording; his first in a series of fruitful collaborations with Wallenstein drummer Harald Großkopf (a comrade from R.U. Kaiser's notorious Cosmic Jokers sessions that same year). And, perhaps not coincidentally, it was also the first time he allowed himself to fall into some lazy compositional habits. The entire album was, believe it or not, recorded in a single evening: a small miracle of spontaneity at a time when Prog Rock LPs were frequently months in the making. On the other hand, a little more forethought might have yielded music of greater depth and interest. The lush, almost symphonic production makes the album opener "Floating" a joy to hear. But a sense of monotony creeps into the set long before the initial jam finally ends, on an unresolved fade-out after 27-minutes of less than spellbinding sequencer patterns. The 2005 Revisited Records CD edition adds an alternate take of the same material, but the final effect in either version is more repetitive than hypnotic. The 25-minute "Mindphaser" then tries to integrate the spacier effects of other Klaus Schulze albums into a more contemporary mid-'70s sound, with mixed results. The live drumming adds a much-needed human spark to some otherwise humdrum programming. But the inorganic transition between Space and Space Rock is awkward, and his long solo on the big Moog sails at times very near the shoals of Wakemanesque tackiness. "This record", wrote Schulze in the original LP notes, with a disarming lack of syntax, "opened another door I wanted to go through since years...the rock music." You would think he had more than enough of the rock music while in Ash Ra Tempel, or after the Cosmic Jokers debacle. And by 1976 that same door had long been open to an already crowded room full of synthesized rockers. But the end result was his biggest seller to date, perhaps because of its easy-on-the-ears simplicity and lack of otherworldly edge. incoming transmission - - incoming transmission - - incomi . . .
day 4, solar - Fourth full day, inert kinesis outbound from Sol. Audible signal now in total regular auditory; musical, sequenced. Relentless. Multiple layered signal, steady but not predictable. Now modulated, repeat modulated : risen by at least a minor third [western scale], maybe more. Highly unusual, possibly xenoformic in nature. Seems to have had frequency increase as I've moved farther from Sol. day 5, semisolar - Signal maintained but changed; unified tone-field with smaller granulars influencing cosmosition; deeper but diluted colorations; Wait ... what's this ... what's this. Percussive. No doubt about it, impact tonalogics clear as day. Impossible but there they are-- multiple impact resonations mixed in sync with tone signals. Without doubt a form of music, either naturally occurring or sentient-made. Comp is stuck, baffled. day 6, semisolar - Exterior transmission fully altered now; Chaotic, if I didn't know better I'd say it was the ocean on Earth. And there's something else: Odd, theremive, elastatic, profoundly organic considering I'm almost outside MW. No matter, just a few hours left before E-suit fails. Tell my family I love them. Transmitting now. end transmission - - end transmission - - en . 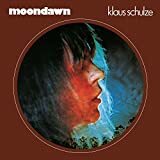 . .
Post a review of KLAUS SCHULZE "Moondawn"